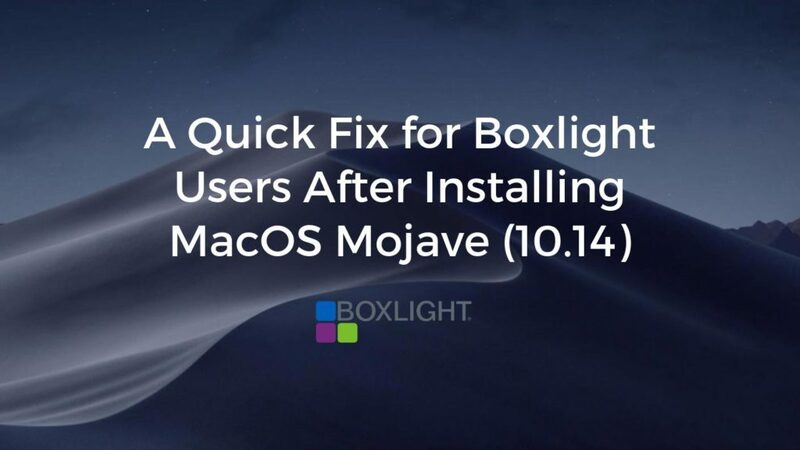 Here’s a quick fix for Boxlight users after installing MacOS Mojave (10.14). If you’re struggling to get MimioStudio Notebook software to open correctly after recently upgrading to Mojave, the directions below for some quick settings changes will get you up and running. With the introduction of MacOS Mojave (10.14), there has been a change to the OS security in regards to the interactive functions. As a result, the driver needs to be given permissions within the settings of MacOS Mojave. This takes just a couple of minutes and you can follow the written instructions below or check out our video and we’ll take you through it step by step. Click the Apple icon in the upper left. Choose Accessibility option on the left. Click the Lock icon on the lower left of the window and enter your password to allow changes to be made. Check the box next to the Mimio Notebook icon. Click the X to exit. After completing these steps, your Boxlight interactive functions and MimioStudio Notebook should be restored and working.